Expenses.. you couldn’t make it up! So.. as all the ducking and diving by major politicians goes on as their false and greedy expense claims are outed we can all give a righteous and outraged shrug and tell the weans, ” See, I told you they’re ALL no good!” And, on this occassion we’d be absolutely right given the massive fraud that the “honourable” members of parliament have been engaged in for years. But, sometimes, in the middle of all the garbage you see something that makes you laugh out loud! One such thing comes with this screen grab from the BBC news site on May 12th 2009! Well… I suppose he would be! I mean having used all our money to maintain the pool he’d be entitled to be angry over any leaks.. wouldn’t he? What do you think? Try our TALKNI.org snap poll! “Northern Ireland Electricity is poised to hit consumers with an increase of up to £160 a year, the Belfast Telegraph has learned. Details of the new tariffs, which will take effect on October 1, are still being finalised in negotiations between NIE Energy, the Utility Regulator and the Consumer Council. But it looks likely that the increase — to be announced next week — will be between 30% and 36%, and it’s all down to the soaring wholesale cost of gas. At present, the average household bill stands at £439 a year, but the proposed increase could put this figure up to just under £600. And in a depressing double whammy for over-stretched families, Phoenix Natural Gas is also set next week to announce a double digit increase, to also take effect on October 1. 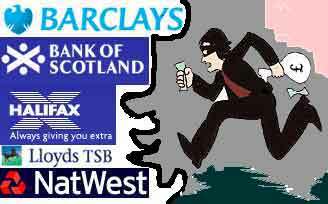 Banks robbing most vulnerable customers. Regular readers will already be aware that I have as much time for bankers as a starlet has for a zit on premiere night. You’ll know what I mean when you have a look at previous attempts on Talk Northern Ireland to highlight their dodgy practices – You can’t keep a “good” bank down….. But now comes a story that makes my blood boil and removes the last vestage of respect I had for these institutions and their employees. 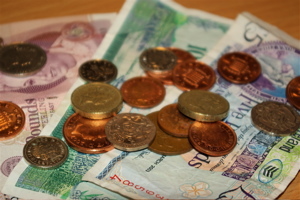 So.. I’ve been talking to a lass tonight about money – hard subject I know but let’s stick with it for a moment. 3. I’m working as HARD as I can and getting absolutely no-where. why the f**k are they’re going to Rome/Rhodes/Dublin/Boston etc etc for a week when they have work to do? Now, here's the thing, this site only works when YOU are the ONE to put finger to keyboard! Don't be shy.. pile in! Labour MP Eric Joyce banned from driving – see BBC!